Security for the Community, by the Community. Have we lost the antisemitism battle already? Norman Police Department (Oklahoma) are investigating three reports of vandalism that happened overnight Wednesday April 3rd 2019 at the Firehouse Art Center, Cleveland County’s Democratic Party headquarters and McKinley Elementary School. 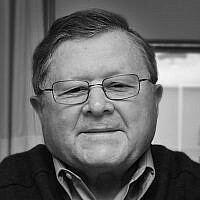 Even the most ardent antisemite could not dispute the fact that antisemitism has been enthusiastically embraced by a diverse group of people who are ensuring it stays very much alive and well. The conditions for attacking the Jews and digging up centuries-old hate have never been so favorable. Whatever guise it takes, institutionally, individually or even in the old favorite topic of anti-Zionism, antisemitism has become de rigueur for those wishing to make a name for themselves. Their standards of no shame are shockingly low and the impact of this evil surge keeps on deepening. Why is it that? Perhaps, one can opine that strong leadership from one political party will embolden strong leadership and rhetoric via candidates from the opposing parties and help keep the ever-swinging political pendulum moving back and forth. However, both far left and far-right groups, who are gaining ground in countries across the world, are eagerly embracing both crude and sophisticated methods of blaming the Jews. Anti Zionism which has clear and established correlations to blatant antisemitism has become the nom de guerre of resistance and has been gladly accepted by legitimate governmental channels. My native country of Great Britain, a nation that stood and fought a national effort against the Nazi war machine where every man, woman, and child was united in defying hate was, until recently, regarded as one of the last bastions of decency. Britain is now on the verge of anointing a renowned anti-semite, Jeremy Corbyn, leader of Her Majesty’s opposition, to be Prime Minister. A man who has received VIP delegations from Hamas and Black September with VIP delegations and welcomed them as guests to the Mother of All Parliaments. Extremist elements and personalities from what were once fringe sections of political parties and becoming the norm in political leadership roles. The defiling of decent democracy is happening before our very eyes allowing antisemitism to become mainstream. Have we really lost the battle before it’s even started? Social media and conventional media outlets wield almost Orwellian power on the populace. With social media permeating every other aspect of our lives, thinking and examining news has become too much of an effort. But as communities, we can fight back. Frum people can’t hide. I’ve lived in the earlier part of my life as a non-religious person and for the last twenty odd years as a frum person, there is no hiding (and nor should there be) from our heritage and way of life. Whether being non-religious or observant lifestyles, I have still have experienced some varied and rather nasty forms of antisemitism. Step 1) Awareness. What is antisemitism? Will we know it if we encounter it? How can we discern? One need only look at the US Department of State’s non legally binding working definition International Holocaust Remembrance Alliance (IHRA) which states ““Antisemitism is a certain perception of Jews, which may be expressed as hatred toward Jews. Rhetorical and physical manifestations of antisemitism are directed toward Jewish or non-Jewish individuals and/or their property, toward Jewish community institutions and religious facilities.” – It goes on to include the denial of the State of Israel as being a homeland for the Jewish people is a form of antisemitism. Step 2) Report it. We know only a small percentage of antisemitic verbal abuse and assault is recorded properly. 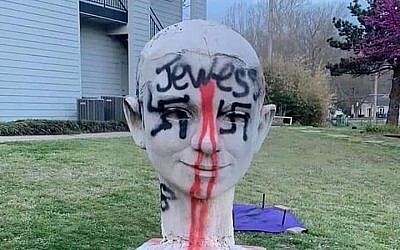 The Anti Defamation League who collects reported information advised in 2017 that there was a 67% increase in hate crimes. Law enforcement and our organization CSO know that individuals face fear, lack of knowledge of how and who to report to, or simple apathy causes there to be a significant amount of underreporting. Understandably, police departments and city governments do not want to acknowledge hate crimes too quickly. Always, document the incident, get a police report # and the badge # of the officer. Your filing a report puts a pressure on government, lawmakers, law enforcement and community leadership to respond with a unified effort to hate crimes. Step 3) Make a suspicious activity report at CSO. This can be shared with other sites and awareness and identify past or future trends or methods of attack. We will ensure that the report is logged correctly and followed up with the appropriate authorities and similar sites so that they can take precautions. Not reporting could lead to other softer sites being attacked by someone who could have been stopped. Step 4) Internal and external communications – Make sure your onsite security officer or appointed person and leadership are aware. Have a weekly briefing on current threats and concerns. Whether they be local or national incidences, discussing and training protocols helps mitigate the damage potentially caused by an attacker or an incident. Step 5) Be able to defend yourself – Krav maga or any fundamental self-defense system ensures that you won’t be a victim. It’s vital that you and your family know how to defend yourselves and understand the physiology of someone who may want to attack you or those that you love. Step 6) Let local government officials know. CSO also works to lobby local, state and federal politicians and stakeholders. Our silence is tantamount to endorsing antisemitism and hate crime. Indeed, we owe it to the general community and other faiths to shut antisemitism down by reporting it. Otherwise, propagators of hate speech or crime are emboldened to damage neighboring communities. Its effect can be contagious if left unchecked. Step 7) Report hateful articles, statements or actions, There are so many various manifestations and vehicles for hate speech or actions. With the internet, there are a plethora of platforms available to utilize subtle or crude forms of antisemitism. If you see it report it. If you don’t report it. It is as if it never happened. Step 8) Secure our locations – Have protocols and drills to deter, detect threats before they happen and have the ability to defend against such threats. Our enemies know where we live, pray, play and congregate. Do not let these locations be soft targets. Contact CSO for complimentary site analysis and threat assessment. Step 9) Educate both Adults and Children – Holocaust survivors telling their stories first hand is such a powerful experience for all. As the years go by, these living testimonials are dwindling away. We need to make sure that bullying and hate are not acceptable. Our ignoring, our silence and more critically. our not reporting is a form of acceptance. Allowing antisemitism to become the status quo would be deplorable. We need to teach kids of other faiths and backgrounds. There are powerful speakers and materials to educate. As Ben Franklin is attributed to have said: “ Tell me and I forget, Show me and I remember, Involve me and I learn”. It’s through involvement that we educate and inspire. Step 10) Set up a task force with law enforcement with easy communications and clear protocols to report and respond to antisemitism. CSO has successfully done this and can show you how. Just as Nazism was defeated through both a unified effort and vitally courageous action, we can ensure that those who seek to do us harm or discredit our communities will know that our resolve will not be demonstrated in a passive manner, but will be vigorously fought with every legal and communal resource available to us. Strength through unity is not just a slogan, the safety of our communities and families is dependent upon it. When we say “Enough is enough”., like most things in life, it means nothing without taking sensible action. Zalman Myer-Smith is the Executive Director of www.thecso.org a Florida based volunteer Community Security Organization liaising, training, and working with law enforcement agencies and serving Jewish community synagogues, schools, and centers. Zalman is also the Director of Security for Chabad of Florida.